It’s been a long way from the first Zynthian prototype being announced in the blog, more than 2 years ago. It’s been an interesting trip and along the way, i have learned a lot of things and a small but dynamic community have grown around this crazy project that Zynthian is. 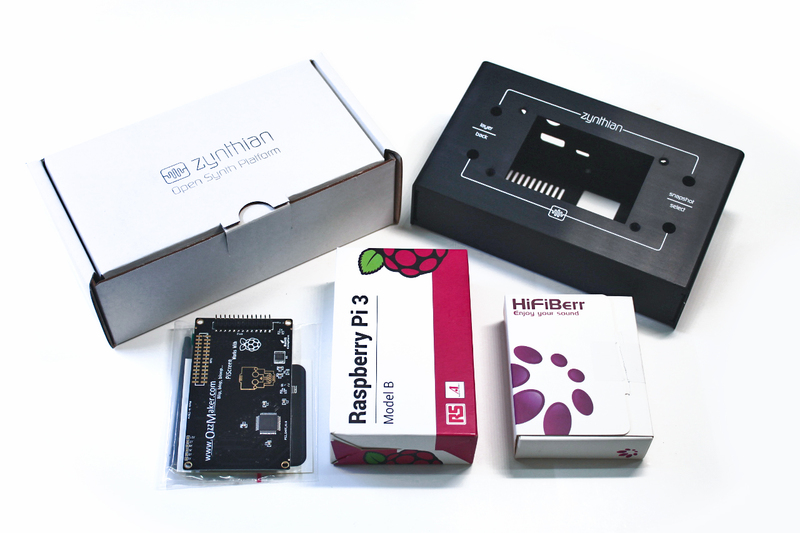 After selling more than 100 zynthian kits thru the forum, i think it’s time to move forward and take the next steps for making Zynthian project better and bigger. I intend to make this shop open to all of you, community members, that want to contribute to the project designing and selling zynthian stuff. I’m open to your proposals in this subject, so feel free to reply and tell your ideas about it. Finally, i would like to thank to all the wonderful people who have helped me to make this dream a reality, pushing the project to reach the current status: You are great! Thank you very much!! And i must say that this is only the beginning. Currently i’m completely focused in the Zynthian Project, and although i need to earn some money with it (for buying food, diapers and some beers), i would like to create something different, not a classical company centered in the revenues, so stay tunned as i will come to you for discussing this subject in the near future. Congrats on reaching this milestone. Reaching this stage of sustained development for an open source hardware project is a major accomplishment. Wow. What have you been hiding behind the hood?? This is awesome, but I am glad I purchased the kit earlier, since I am now bit busy with my work I would not have had the time to assemble it if it did not arrive last year. Anyway, It looks really great. Saludos, senor!